Conrad Properties Co., Ltd. is a leading independent, British luxury property agency based in Koh Samui, Thailand, providing reliable real estate services in Thailand & Asia. With over a decade of experience, it offers safe and secure advice to clients worldwide, and has a huge variety of listings, from condos and apartments, to villas, houses and land investments. The company was built with the key principles of sincerity and integrity, striving to deliver the best possible service for its clients, both during and after their property purchase. Specializing in Koh Samui property and Luxury Koh Samui Real Estate, it offers an array of affordable property projects and unique investment opportunities to suit most peoples' budgets. With a trained team of professionals available to serve your needs and requirements, we ensure you are confident knowing how to buy property in Thailand, and that your property purchase is undertaken smoothly, confidentially and without complication. Services are free for both property buyers and renters and commissions only come from property sellers. As an independent real estate agency, we are not tied to any specific developers or sellers and can therefore offer completely impartial unbiased advice and opinions. We put our passion, creativity and commitment in property at the heart of everything we do, aspiring to achieve the extra mile to exceed our clients expectations. So whether you are looking for a luxury villa in Chaweng Noi or an apartment in Bang Por, you'll be sure to find your perfect Koh Samui property with us. Feel free to Contact Us and our specialist real estate team will be happy to assist you. Conrad founded Conrad Properties Co., Ltd. after spending many years of working in the Real Estate industry in Asia since 2007. Working for companies such as Raimon Land PLC & Knight Frank and studying real estate law extensively, he puts his passion in property at the heart of everything he does. With partners in London and Bangkok, Conrad Properties Co., Ltd. specializes in resort destinations such as Koh Samui, maintaining a competitive edge for its customers. Possessing a strong background in marketing and advertising, he maintains a powerful PR presence, both online and on the ground with its relationships with repeat clients. 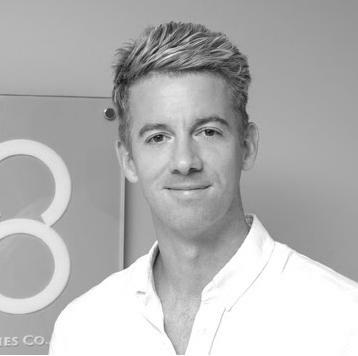 Jonathan has worked in various sectors of sales and marketing capacities, from hospitality, to retail and extensively in real estate markets in Asia and in particular Koh Samui Real Estate. Also being fluent in french all his clients love him for the outstanding service and patience in understanding the needs of his clients. 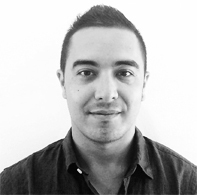 Joining the Conrad Properties team in 2015, he currently oversees all sales operations within the company. Kate graduated with a Bachelors degree in from Thammasat University with a passion for property. She is well studied and connected in real estate in Thailand, but her main strengths are her naturally warm personality, and helpful customer service skills, allowing her to cultivate long-lasting relationships with clients. Speaking a variety of languages she is experienced at dealing with most cultures, and maintains a positive and calming influence on clients both during and after the purchase process is complete. Worranart manages all administrative and accounting aspects of the company. 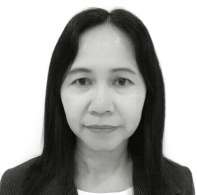 As a highly organized and thorough individual, and with many official connections on Koh Samui, she oversees the smooth running of all financial processes within the company in accordance with the law of Thailand. 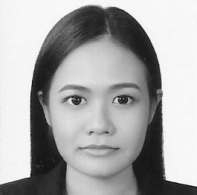 For complex cases concerning land purchases and transfers, she provides a wealth of information and resources for both Thai and foreign clients alike.